A Weight Loss Chart is an excellent way to monitor your fitness characteristics and weight over a period of time. Dates of records are mentioned and other physical properties like chest, waists, etc. Estimated Values for these parameters can also be mentioned in the table for comparing the improvement. Now you can create your own workout Chart with the help of our templates and manage your weight loss efficiently. The Chart Templates are available right here in easy to download Microsoft Word doc and Adobe Acrobat pdf format. Standard graphs to help you understand your weight loss properly are also available here. Printable weight loss progress chart template helps in monitoring a person’s weight for each month. It helps the user to update the weight for each week and also to update the remarks. A weight analysis can be done for 5 months with the help of this template. 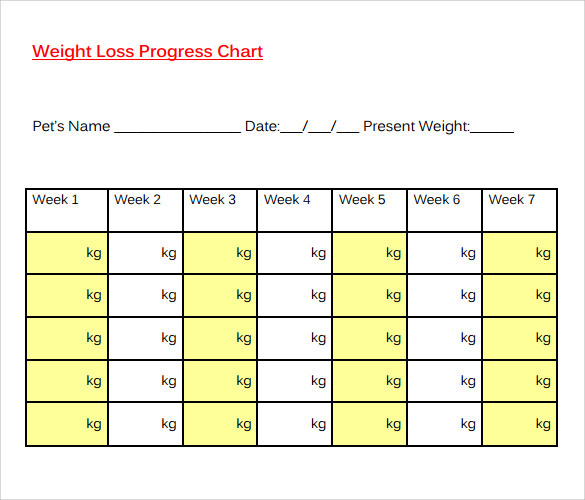 Weight loss chart template displays a weekly monitored chart. A proper comparison can be done to check the weight for each week. 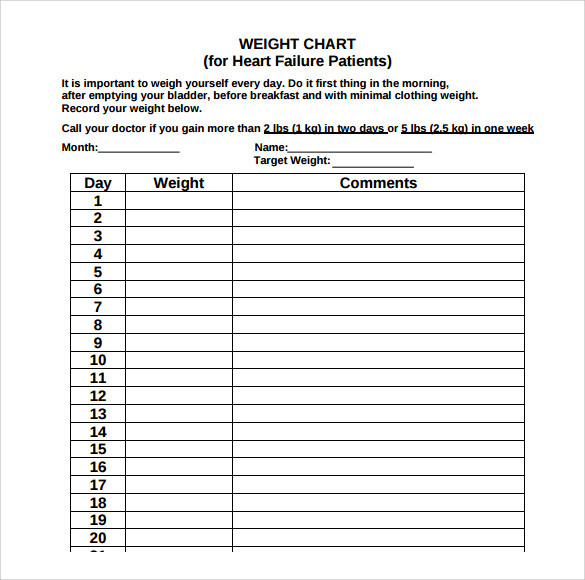 A user friendly template used to monitor the weight for each day. User can update the weight for each day in this template. 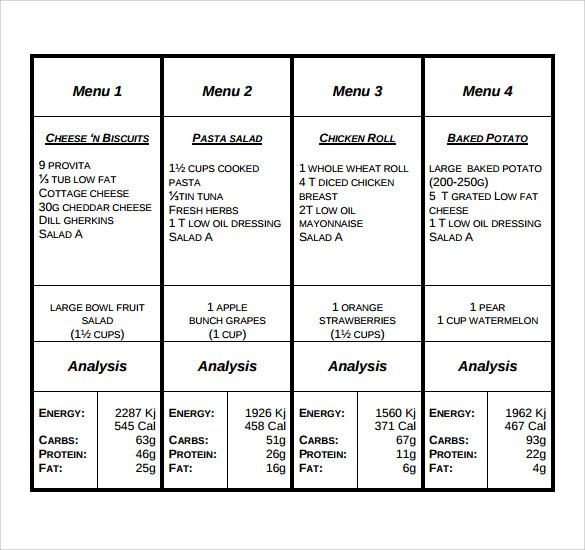 Weight management chart template is used to prepare a daily meal routine. The template offers a layout to design the meal schedule and the recipes for each time. User can also analyse the energy, proteins and fatty food which are taken for the meal. 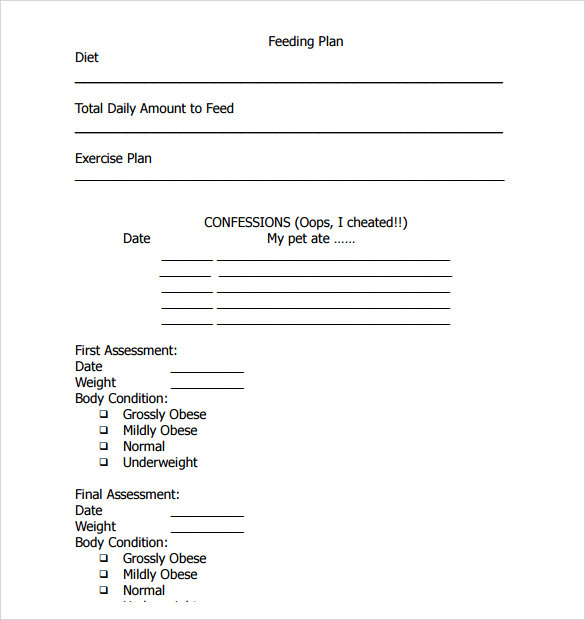 Making a weight loss chart template is descriptive template were the user can make a note of the weekly diet schedule. The template layout is user friendly and very easy for the designer to add the description to the layout. Why is Weight Loss Chart Templates Needed? By using these templates user can monitor the weight for each week and make necessary work outs for reducing or increasing the weight accordingly. 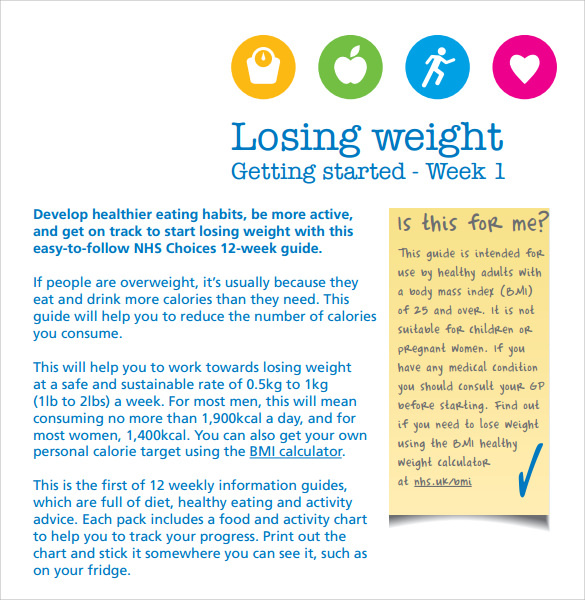 User can get to know the improvement in the weight for each week based on the weight loss chart. All these templates are user friendly which are designed with simple and elegant layouts and are free to download. When is Weight Loss Chart Templates Needed? People suffer from overweight or under weight. 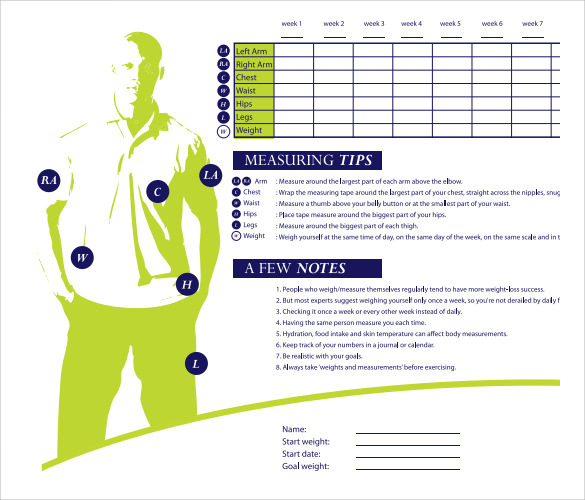 Using these templates people can measure their weight and follow certain exercises and diets to stay healthy and fit. When people are overweight they can use this chart to analyse their weight for weekly basis and also make a note of the food they have to take. 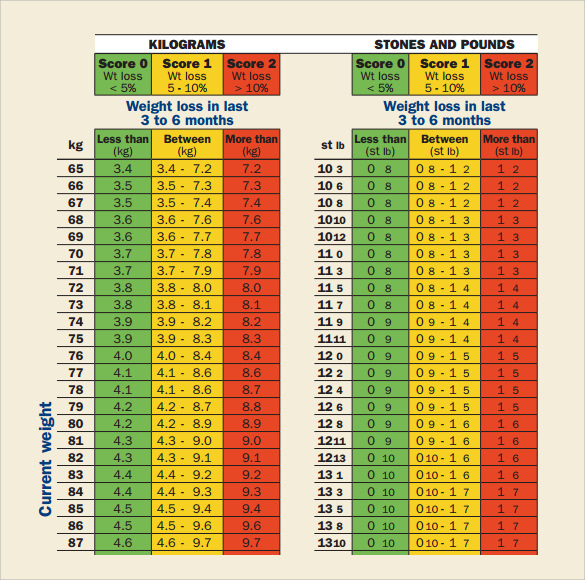 The chart helps people to easily monitor the weights from the first month till the target reached. When people are under weight, they can use this chart to check weight analysis. User can easily update the weight and follow certain food diet to improve the weight week by week. These templates are used to keep a track record of the weight and which can help people to compare their weights and analyse. For example if a person is 70kg and his target is 55kg he can use this chart to monitor the weight and make a note of it in order to reduce the weight accordingly. Weight loss templates are user friendly and easy to download in a word or PDF formats. Choose any one from these templates and download them to monitor your weights and stay healthy for a longer time. Start your diet by using this weight loss chart and be benefitted more.